In the United States, free speechers and anti-free speechers have long been at odds. But lately, the battle has been getting more and more intense — and the anti-free speechers appear to be winning. But why is free speech such a big deal anyway? Answer: because it’s supposed to be a safeguard against tyrannical government. So as the anti-free speechers gain momentum, tyrannical government also wins. 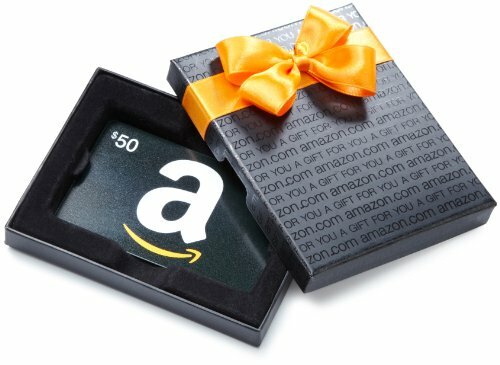 In theory, the way free speech is supposed to work is this: If every citizen of America were of one opinion and a single individual had another opinion, the majority would have no more moral right to silence the single dissenter than he (if he had the power to do so) would have to silence them. How so? Because if the opinion is right, those who disagree are deprived of the opportunity to learn why it is right. On the other hand, if it’s wrong, they lose the opportunity to exercise both their reasoning powers and their powers of persuasion to help the misguided person understand why his opinion is in error. Also, when anyone stifles an opinion, he can never be 100 percent certain that the opinion is wrong. But even if it were possible for him to know with absolute certainty that the opinion is incorrect, he still would be on the moral low road for trying to drown out someone else’s viewpoint. The truth is that those who would suppress the opinions of others are not only fallible, they have no natural authority to decide what others should say or hear. 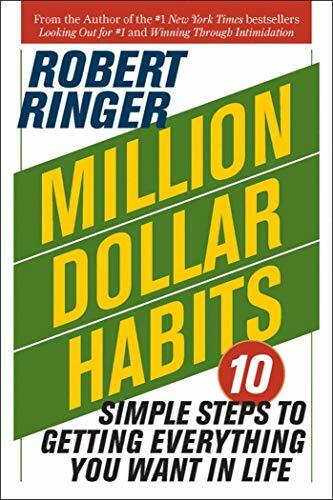 Yet, all silencing of discussion clearly implies infallibility on the part of Million Dollar Habits:... Robert Ringer Best Price: $4.14 Buy New $28.35 (as of 08:25 EDT - Details) the silencers. And it’s not just people who are fallible, but whole eras as well. Every age throughout recorded history has held generally accepted opinions that subsequent ages have deemed to be false — often to the point of being absurd — by future generations. Aristotle once insisted that the earth was the center of the universe and that seven planets — which he believed included the sun and the moon — revolved around it. Based on scientific knowledge available at the time, Aristotle’s pronouncements seemed perfectly reasonable. But the passage of time has made Aristotle’s belief seem quite absurd. 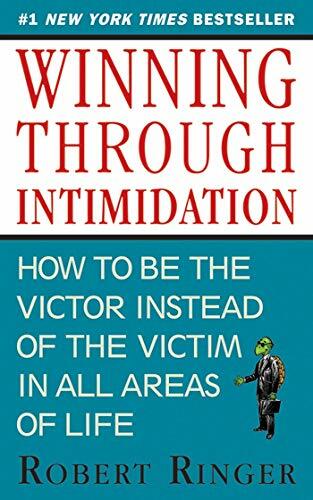 Winning through Intimi... Robert Ringer Best Price: $7.95 Buy New $5.00 (as of 08:35 EDT - Details) The problem is that new evidence — and enlightenment — in virtually every area of life emerges almost daily, which all too often makes even last year’s experts look foolish. One hundred and fifty years ago, millions of Americans did not believe that slavery was immoral. As a result, America was founded on the principle of equal rights for all — except for those with dark skin! And no more than fifty years ago, the benefits of cigarette smoking were freely touted on television. The biggest stars were constantly lit up while performing. As a result, left in the wake of the generally accepted opinion that cigarettes were not harmful were such big-name entertainers as Yul Brenner, Sammy Davis Jr., Johnny Carson, and Humphrey Bogart, to name but a few. When I use the term generally accepted, it underscores just how big the problem is, because the vast majority of people in today’s world are incapable of thinking through a rational opinion on anything but sports and other forms of entertainment. And, come to think of it, they’re usually wrong even in those nonintellectual areas. 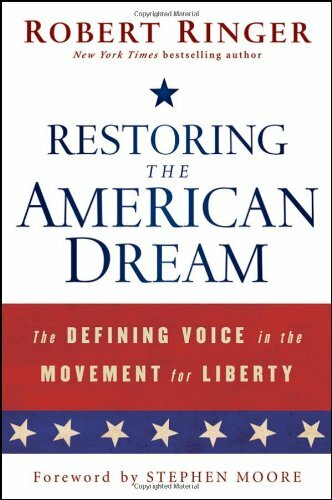 Restoring the American... Robert Ringer Best Price: $4.99 Buy New $119.50 (as of 01:20 EDT - Details) Today, the topics that demand no dissenting views are such things as manmade climate change (for which “the science has been settled”), abortion on demand (as “a woman’s right to choose”), and “institutionalized racism” (that flies in the face of the facts). Unfortunately, however, facts are rarely able to tell their own story. They must be presented by fallible human beings, all of whom harbor their own prejudices and biases. The truth be known, the person who is best equipped to analyze any fact or set of facts is the individual whose mind is open to criticism of his own opinions and conduct. There’s nothing more impressive than a person who, after studying the facts, concludes that his opinion on some subject has been wrong. And the most likely path to arrive at such a purifying conclusion is by listening to opposing opinions. 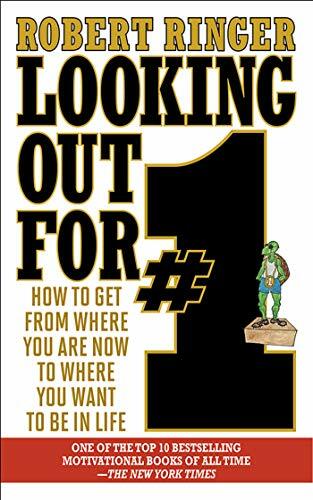 It’s the path that leads to greater wisdom. It’s happened to me on more than one occasion, and I can tell you for certain that it’s a cathartic experience that enhances your self-esteem. 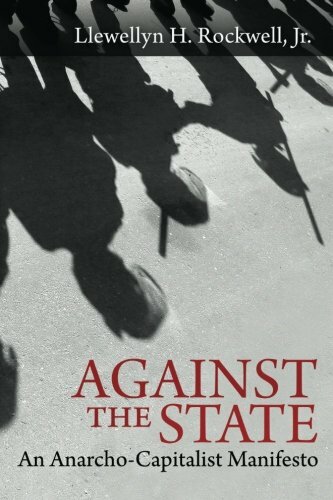 Against the State: An ... Llewellyn H. Rockwell Jr. Best Price: $5.00 Buy New $9.30 (as of 10:25 EDT - Details) Although I have little regard for establishment conservatives, I have an even bigger problem with those on the radical left. While I respect many of them for having an unwavering belief in the philosophy of socialism, Marxist dictum openly calls for the quashing all dissent, and for me that’s an automatic disqualifier. Once dissent goes underground — at great risk to those who would continue on with it — all that is left for the state to do is brainwash children from a young age, long before they have the ability to develop their deductive reasoning powers. One last but important point on the subject of repressing free speech: In challenging opinions, it’s helpful to present the most extreme cases possible, because extreme cases put a spotlight on both fact and fiction. Common sense tells us that what is good on a small scale should be good on a big scale as well. Likewise, what’s bad on a small scale should be bad on a big scale. I had to restrain myself from spilling my hot coffee on his crotch. Personal liberty, of course, has nothing whatsoever to do with the size of a population. Ditto with free markets. In fact, a free market works better when more people are involved. And, of course, small government is always preferable, because as a population increases in size, the temptations for politicians to redistribute wealth, institute repressive regulations, and clamp down on free speech are irresistible. If an argument cannot stand the test of being pushed to an “extreme,” then it is not valid in the least-extreme scenario either. Today’s anti-free-speech radicals have a closed mind when it comes to hearing extreme cases, because extreme cases highlight logic. Thus, the only way they can protect their positions is to silence those who speak out against them. Hmm … tell that to the tens of millions of Germans, Russians, and Chinese who perished under the socialist rule of Hitler, Stalin, and Mao. Too bad no one wants to consider extreme cases like these as we continue to accept the stifling of free speech with only feigned bit of indignation here and there. Reprinted with permission from Robert Ringer.